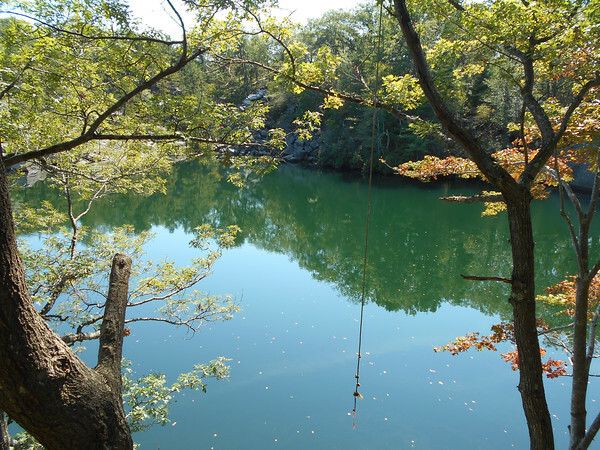 A rope hangs over the water in Vernon's Pit on an afternoon last week. In 1972, a young man almost drowned swimming in the quarry. His rescuer, Jim Crawford, would like to know what happened to that man afterward.